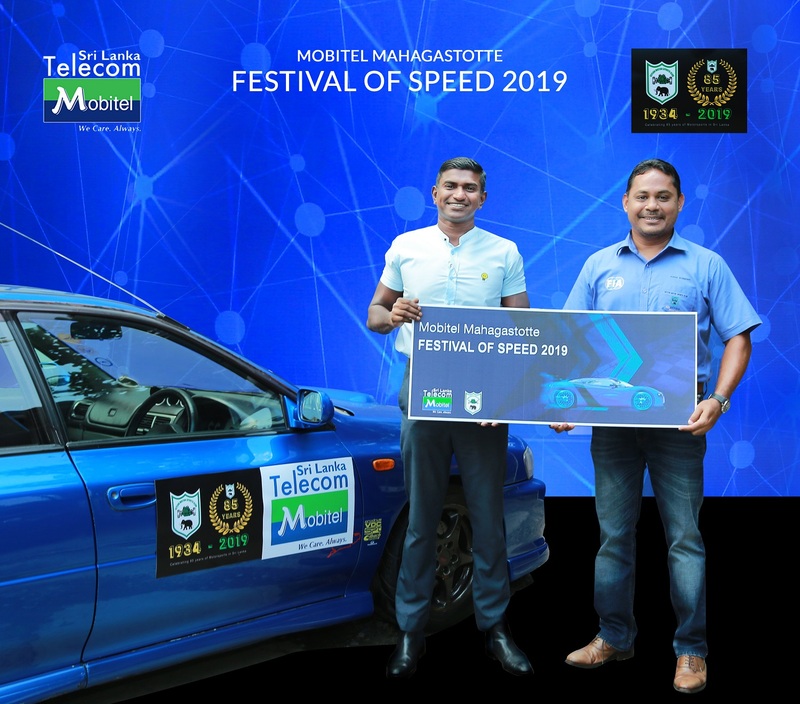 Monday, 01 April 2019, Colombo: Mobitel further cements its brand presence on the motor racing arena by facilitating the legendary Mahagastotte Hill Climb Race at Mahagastotte Hill yet again this year, by partnering with the Ceylon Motor Sports Club. Poised to be held on 6th and 7th April 2019, the race attracts huge crowds of motor sports enthusiasts from the across the country. As the first race to kick off the motor sports season in the island, bikes will be competing on 6th April, while modern race cars will be flagged off on 7th April. Prior to this, a parade of antique cars will commence from Colombo on 5th April for Nuwara Eliya, where an exhibition of these beauties will take place. The majestic cars will complete the awaited Morning Run from the Golf Club in Nuwara Eliya down to Mahagastotte on 6th April with spectators lining the streets. The race for the timed sessions for positions will commence at 8.30am on 6th April and 7th April 2019. In the bike category, the current course record holders are Ananda Sampath Weerasignhe, riding an RM 250 (achieved record in 2017), course record holder for cars, Ashan Silva (achieved record in 2018) and Seconds driving a Mitsubishi Evo will be the ones to beat in this year’s race. In its 85th year, the Mahagastotte Hill Clim in 2019 also marks 85 years of Motor Sport in Sri Lanka. The Ceylon Motor Sports Club is the oldest in Sri Lanka and was inaugurated in 1934. The occasion was marked with the Hill Climb at the Mahagastotte Estate in Nuwara Eliya on September 28, 1934. This legendary race carries till today since that august beginning. Today, the Mahagastotte Hill Climb is considered a rigorous and challenging test of motor car race drivers as it tests their skills and temperament to persevere through the difficult terrain. Over the years, the Club has taken measures to upgrade the track with resurfacing, track side curbing, and safety fences. The TAG Hauer timing equipment too has been upgraded for greater efficiency, while marshals trained by CAMS of Australia will be at hand to conduct the meet to ensure the meet runs like clockwork.